What is sugar snap pea? Sugar snap pea or snap pea (Pisum sativum var. macrocarpon) was developed in 1970s by cross-breeding the snow pea with the green peas (The Wellness Encyclopedia). It is a variety of pea eaten whole in its pod while still immature. It can be eaten raw, or lightly cooked. It has rounded and plump pods filled with extremely sweet, tender peas. As the name suggests, they are sweet and crisp, and are best eaten raw, or lightly steamed, lightly boiled, sautéed in butter or stir-fried. They can be eaten raw or lightly cooked in order to retain flavour and texture. Often served in salads or eaten whole. Remove and discard the stem end and string from the sugar snap pods, especially in the mature ones. The young ones may not need to be stringed. or sauté 3-5 minutes in butter or olive oil. 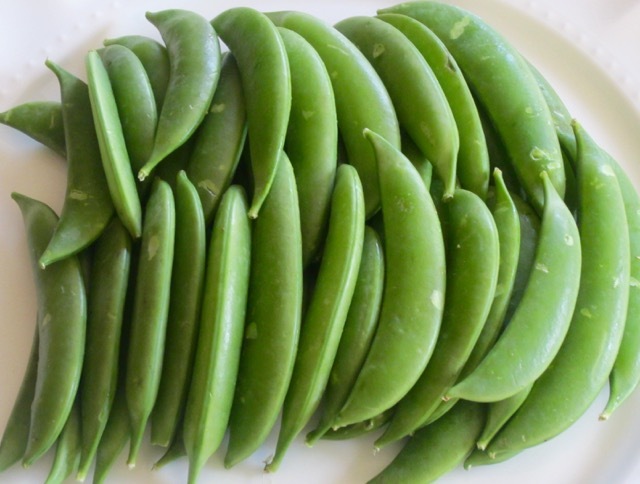 Compared to green beans (Phaseolus vulgaris), sugar snaps are less common in supermarkets. 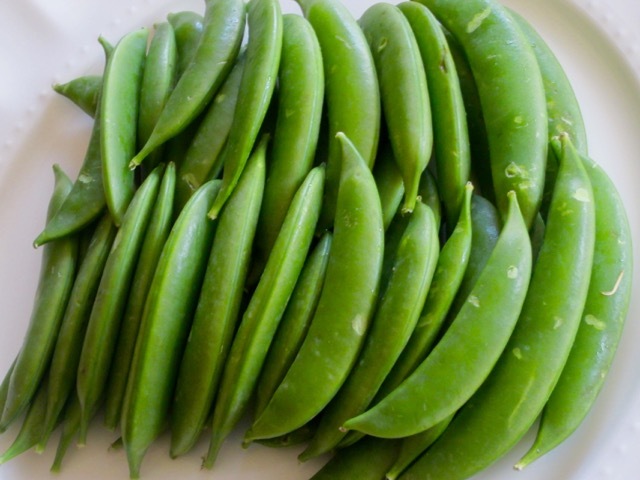 Fresh sugar snap peas should be bright green, plump and firm. They should be able to snap when broken into two. Allow about 125g (5oz) for one serving. Pisum sativum var. 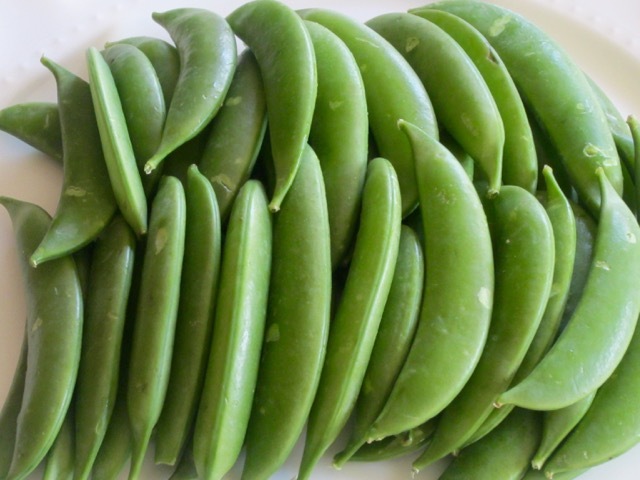 saccharatum: Snow pea, Sugar Peas, Mangetout or Chinese Pea Pods. Posted in Ingredients, Vegetables, What is? Great post ! Very informative ! !